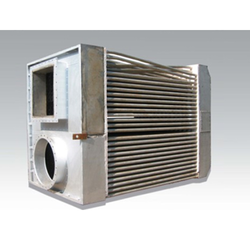 Prominent & Leading Manufacturer from Ahmedabad, we offer air preheaters. For the purpose of maintaining the offered Air Preheaters in compliance with the set industry standards, the latest and advanced tools and equipment are used. The boilers are known for their energy efficient design and longer functional life. Owing to this, the boilers offered by us are highly demanded.